As Christmas looms ever closer the countdowns have begun, advent calender's brought and ready to open I have something a little different to show you to make the Christmas countdown even more fun this year! Why not let this little elf join your children this Christmas on his quest to help Santa see who is naughty and who is nice. 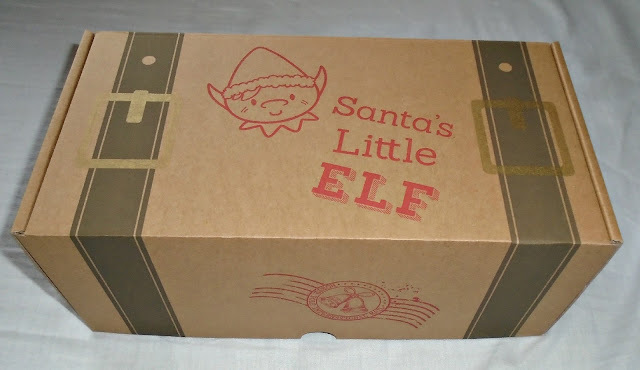 All encased in a customisable travel trunk box which can be turned in to the elf's bed. 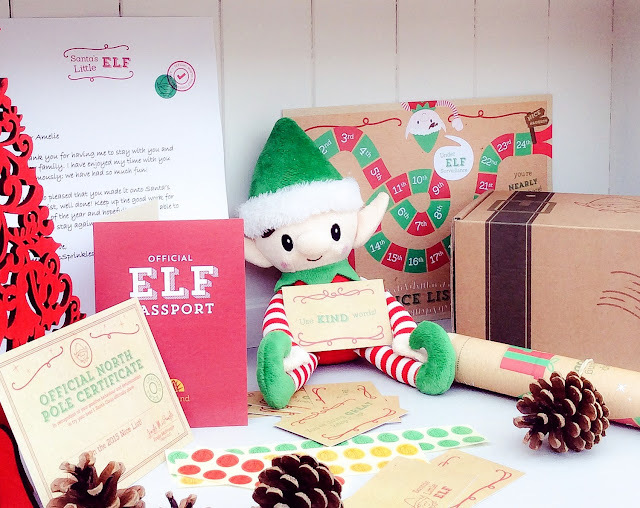 The full elf pack listed above is priced at £24.99 hwoever if you have more than 1 child thanks to the sibling pack there is no need to buy 2 kits. 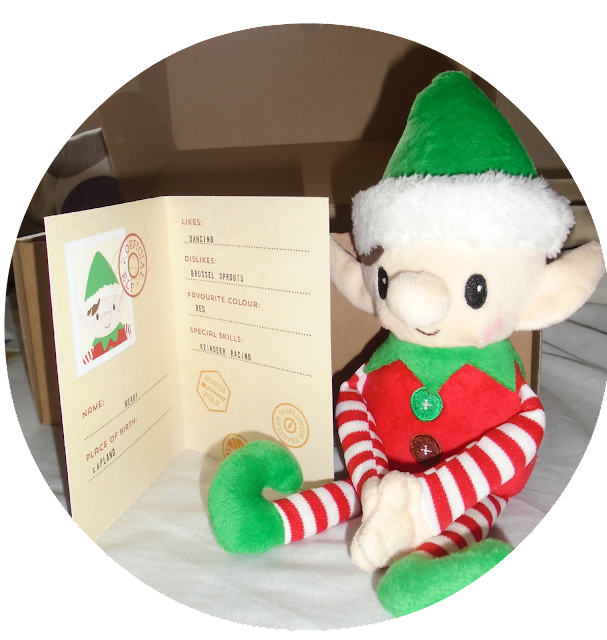 You can purchase a sibling pack for just £5 extra per sibling when purchased with a full elf kit and this includes a behavior chart, stickers and a nice list certificate. Helping to not only keep costs down but ensure each child feels special. 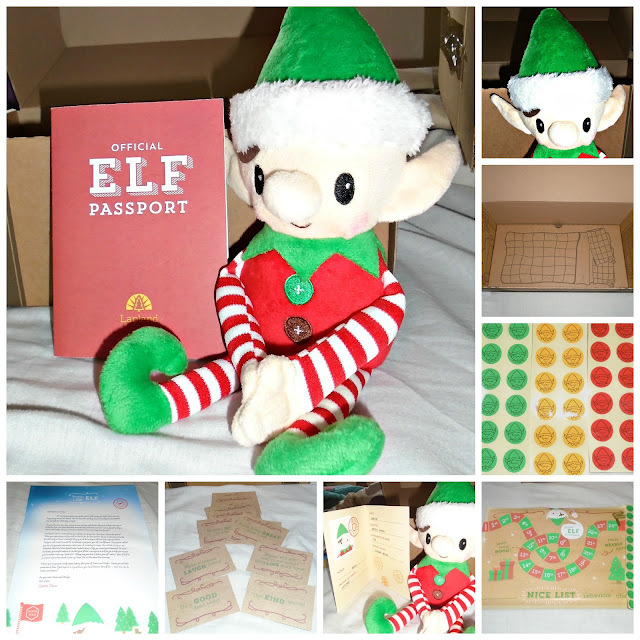 Each elf comes with their very own passport too, which gives you their name and some other info such as likes and dislikes which we think is very cute! Our very own little Elf will be coming out to stay from 1st December and he will arrive on our door step in his little travel trunk ready for James to personalise. 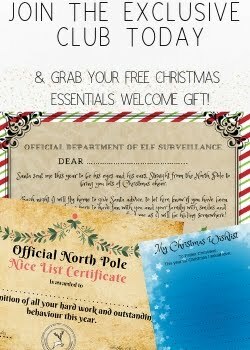 I love the addition of the nice list certificate and also the goodbye letter which helps to explain to children why and where the elf has gone. The elf teddy itself is a lovely soft toy with bright vibrant colours and is very good quality (especially important when he may be pulled around by children!). The elf is 31cm long and features velcro on the palms of the hands to help pose your little elf. Our elf will be getting up to all sorts of mischief during the night ready for the kids to find when they wake in the morning to bring a little fun to our Christmas countdown. However your elf can do and be whatever you like, there are lots of ideas on Pinterest and all over the internet or you could just have your elf to stay for your child to cuddle up to! 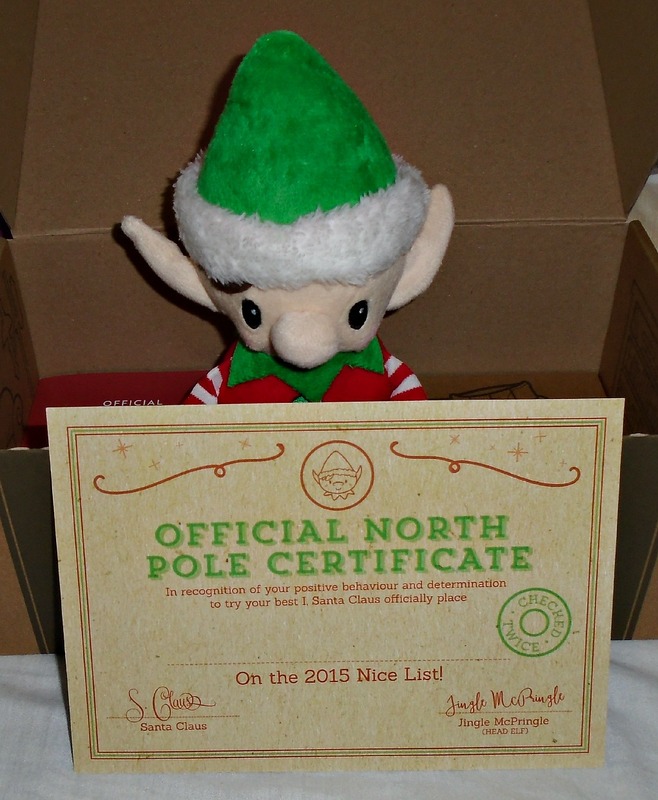 So can you give a little elf a home this Christmas? There is no rule as to when your little elf has to come if you think the 1st December may be a little far away from Christmas why not have your elf come along for the 12 days before Christmas, making his time with your child even more special in the run up to Christmas day! 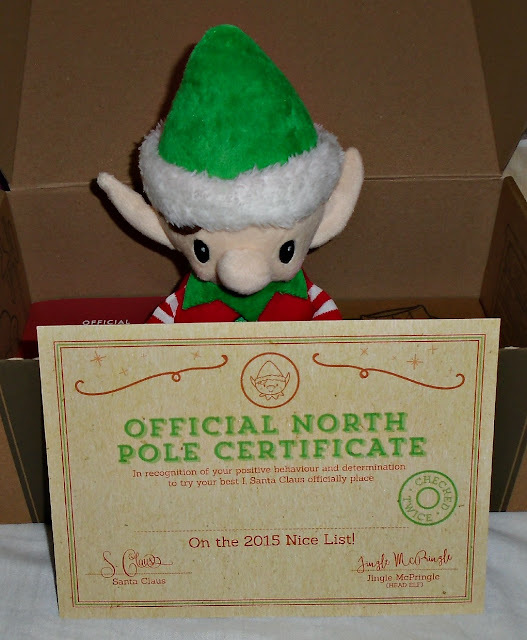 You can order your own elf pack via the Santa's little elf Facebook page or from the Santa's little elf website. I love your elf, especially the little extras that come with him too. We have an Elf on the Shelf which quite frankly looks pretty scary! I love this - he is super cute. My nephews would love him! This elf is so cute. I will be checking it out. I'm not 100% sure about some Elf on the Shelf type products I've seen, some of the Elves freak me out a little bit. 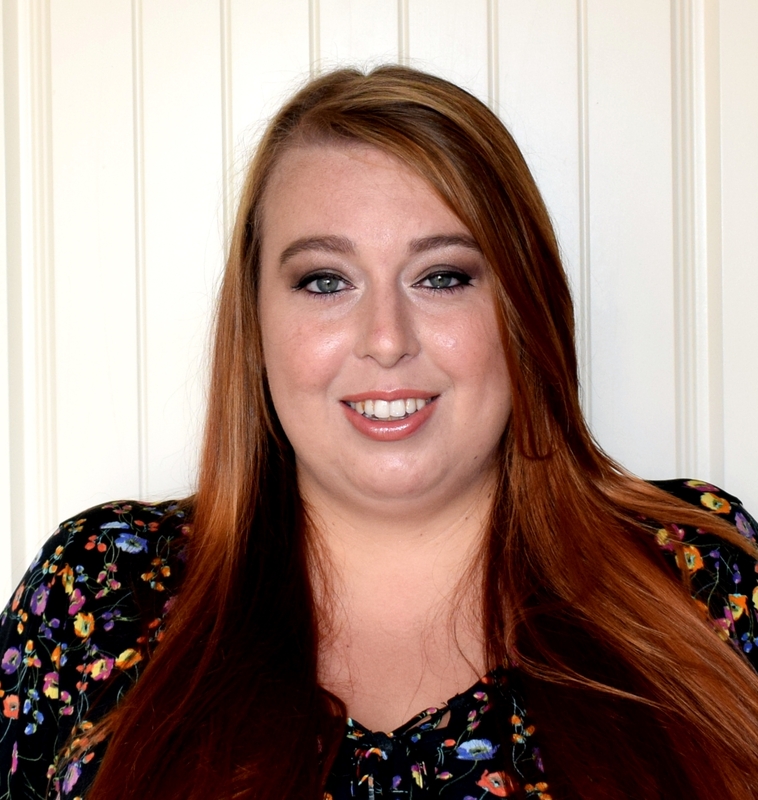 But, this one looks like a nice, friendly Elf. It's something we'll probably introduce once Rowan is a bit older and he can understand more about it (he's 16 months old). I think the price is great too, especially only having to pay an extra £5 to tag a sibling in.